Jack Vickers, whose vision of bringing PGA Tour golf to Jack Nicklaus-designed Castle Pines Golf Club outside Denver, Colorado, resulted in one of the most memorable stops on Tour for more than 20 years, was named the 11th recipient of the PGA Tour Lifetime Achievement Award. The ceremony took place September 4 at Denver Country Club, while the 2014 BMW Championship at nearby Cherry Hills Country Club got underway. Nicklaus joined in on honoring Vickers in a special video message created by the PGA Tour. Created in 1996, the Lifetime Achievement Award honors individuals who have made outstanding contributions to the PGA Tour over an extended period of time through their performances on the golf course as well as through their actions off the course in serving as ambassadors of the game. A lifelong passionate golfer, Vickers acquired the land and founded Castle Pines Golf Club in Castle Rock, with the Jack Nicklaus-designed golf course completed in 1981. The inaugural International was played in 1986 with a $1 million purse—the largest purse in PGA Tour history at the time. Champions at The International included Greg Norman (1989), Davis Love III (1990 and 2003), Phil Mickelson (1993 and 1997), Vijay Singh (1998) and Ernie Els (2000). Vickers granted Els his second-ever PGA Tour start as a sponsor exemption in 1991 at a time when golf was not nearly as global as it is today. Els subsequently went on to play the event 15 times, missing only 2005 due to knee injury. Vickers and Castle Pines Golf Club have made a significant charitable impact in the metro-Denver area over the years, with the Boys & Girls Clubs of Metro Denver as its primary beneficiary. Additionally, the annual Jack Vickers Invitational hosted by John Elway at Castle Pines has raised several million dollars for the Boys & Girls Clubs since the tournament’s inception in 2008. Born in Colorado Springs on August 8, 1925, Vickers is a well-respected businessman, whose companies include business interests in oil, gas and mineral properties, real estate, land development, and farm and stock investments. Vickers has an extensive history with Colorado sports in addition to the PGA Tour. He is the former chairman and majority owner of the NHL’s Colorado Rockies; was the organizer and president of the University of Colorado’s Flatirons Club, a major fundraiser for the university; sponsor of the Vickers Wichita team in the old National Industrial Basketball league that later formed the ABA; and sponsor for the start of the pro career of three-time U.S. Open champion Hale Irwin. 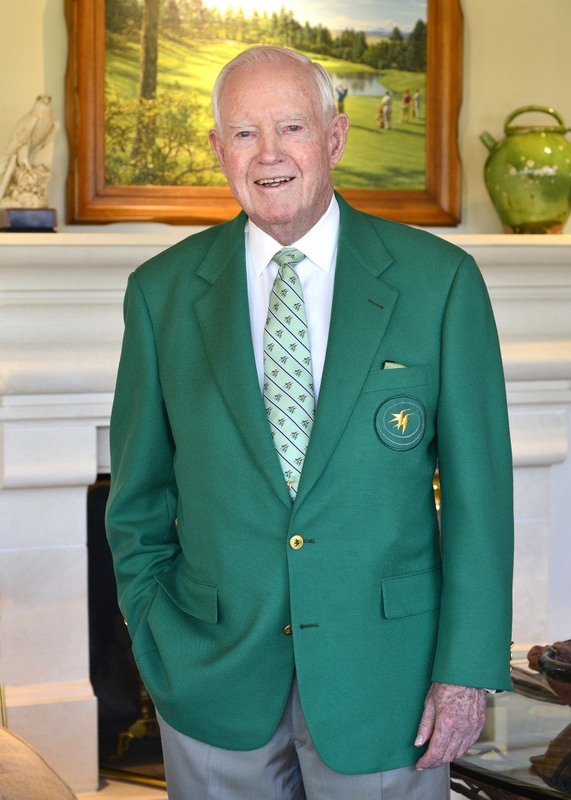 The recipient of numerous awards, Vickers was named the 2003 Ambassador of Golf by Northeast Ohio Charities as part of the World Golf Championships-Bridgestone Invitational. He is also a member of the Colorado Sports Hall of Fame, Colorado Golf Hall of Fame, Colorado Business Hall of Fame, and Denver and Colorado Tourism Hall of Fame. Vickers will join past recipients Jack Nicklaus (2008), Gene Sarazen (1996), Byron Nelson (1997), Arnold Palmer (1998), Sam Snead (1998), Jack Burke, Jr. (2003), Pete Dye (2005), Deane Beman (2007), President George H.W. Bush (2009), and Gary Player (2012).